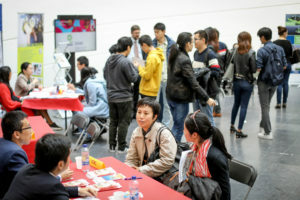 On October 4, 2018 the Belgian-Chinese Chamber of Commerce (BCECC) organized its already 7th edition of the now well-know ChinaCareers Event, a meeting place where students/alumni and job seekers can have the opportunity to establish a first contact with several companies active in or with China and get to know more about the Belgian-Chinese labour market. We were happy to have the following participating companies and organizationsEurope TianYing BVBA, Bank of China (Luxembourg) S.A Brussels Branch, PEC – Engineering Systems, Liège Airport, Dredging International NV, ICBC, BCECC, Centre de Langues Marie Haps and Vlerick Business School. 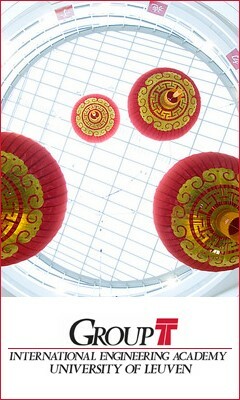 The event attracted over 150 Belgian and Chinese students at Campus Group T in Leuven.